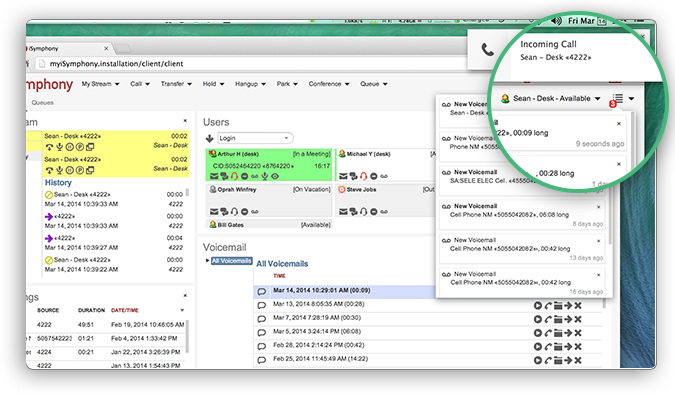 The most flexible call management platform for your business. 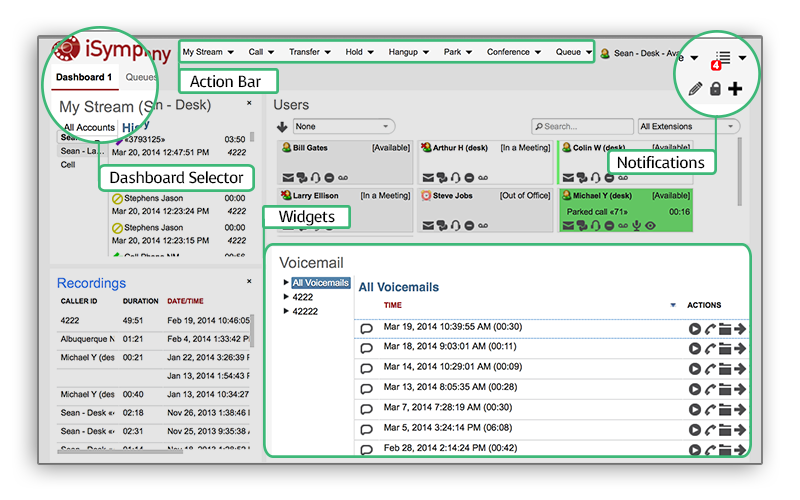 iSymphony is the best web-based call management solution for your Asterisk PBX. 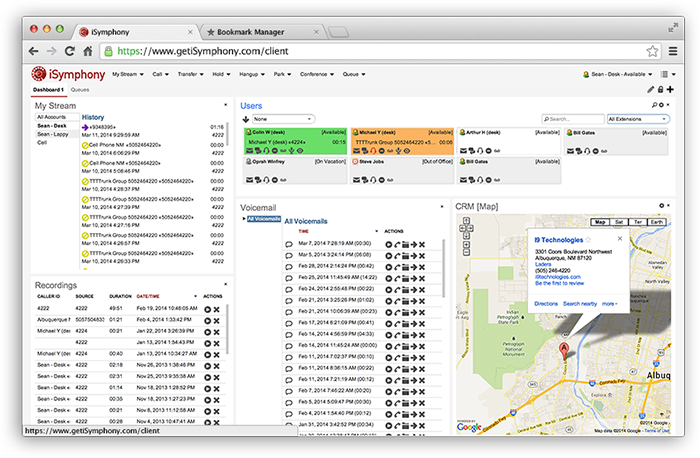 Thousands of organizations choose iSymphony to organize people and the flow of information from your phone system. Be more productive by communicating on a realtime platform with everyone in your organization. 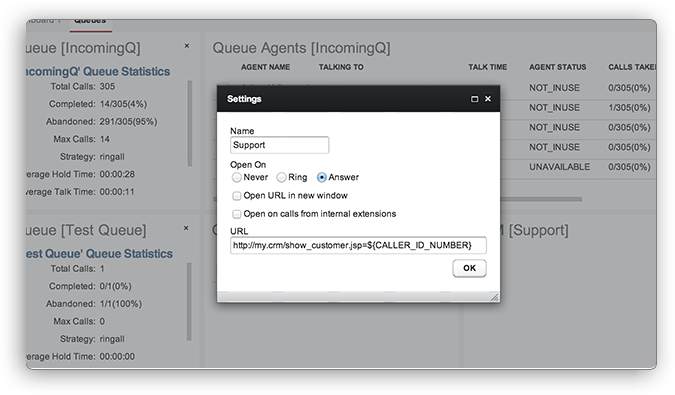 Deliver value from your queues by bringing queue information to your agents. See realtime statistics on agents and monitor the health of your queues. 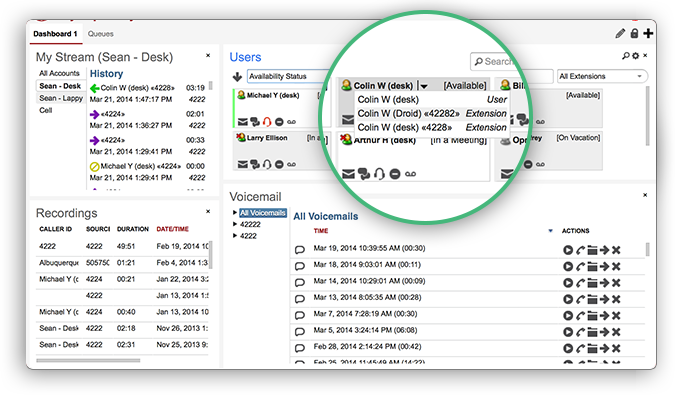 Produce better results from your call center environment with the information you need. Give your team the information they need to be more productive. 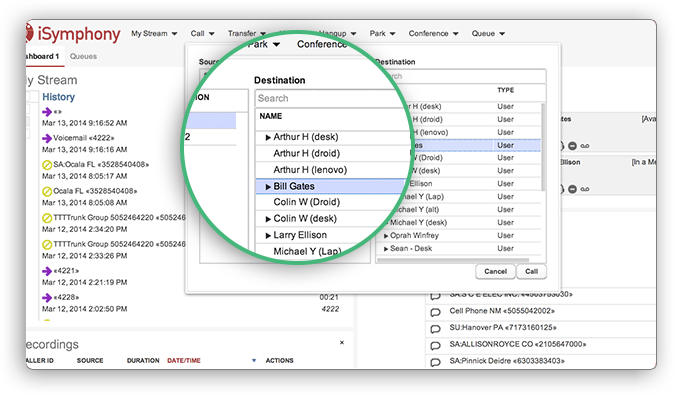 See presence information for users at a glance. 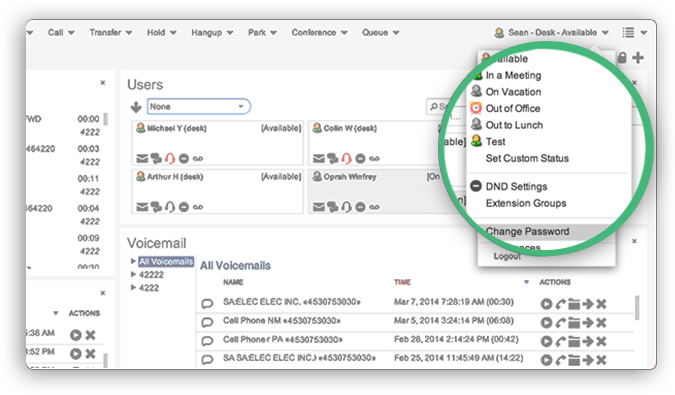 Communicate instantly by setting up an ad-hoc conference room or keep up to date with corporate chat. 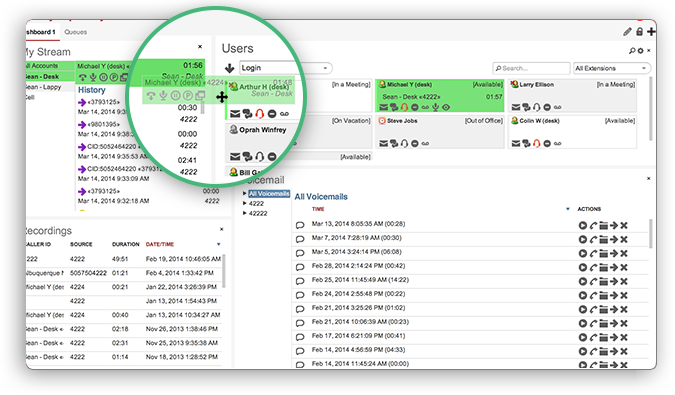 A simple web based interface for everyone in the organization. Each user has the same information and a central place to communicate with each other. 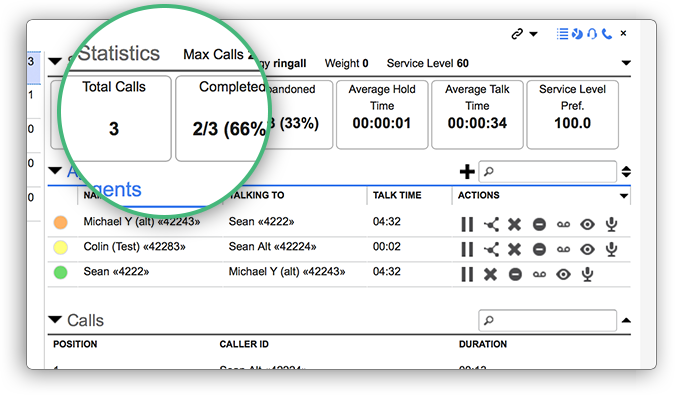 Initiate calls with your keyboard, check your voicemail, listen to phone recordings or set your presence in a single interface. See who is in the office and if they're on the phone. Change Brenda's status since she's in a meeting. 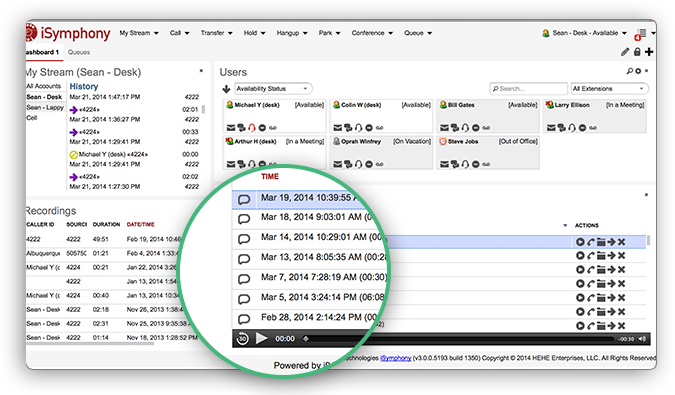 Review your call history on all of your extensions. 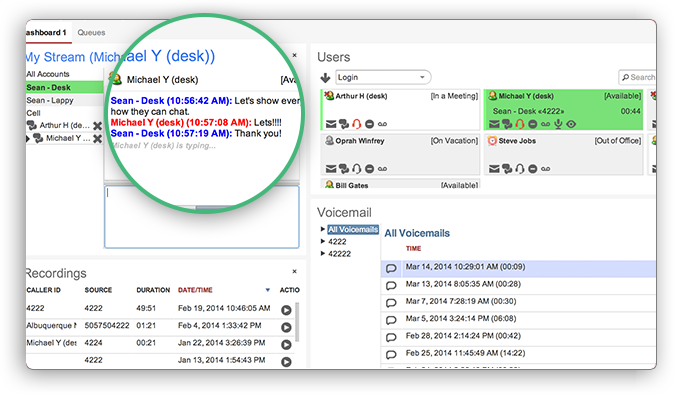 Use the internal chat server to communicate with your team. 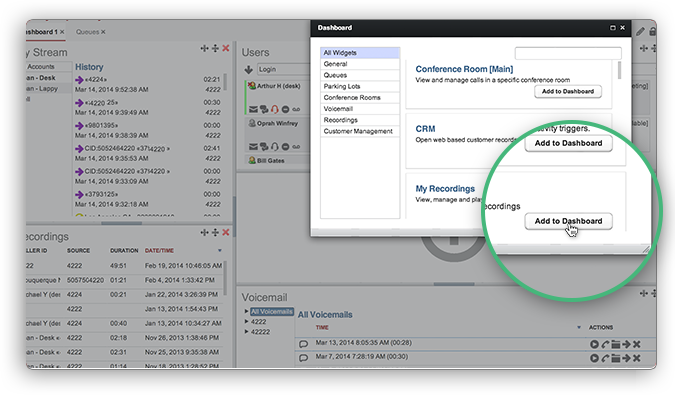 You can forward voicemails or share recordings by using the drag and drop interface. Group your teams into extension groups. 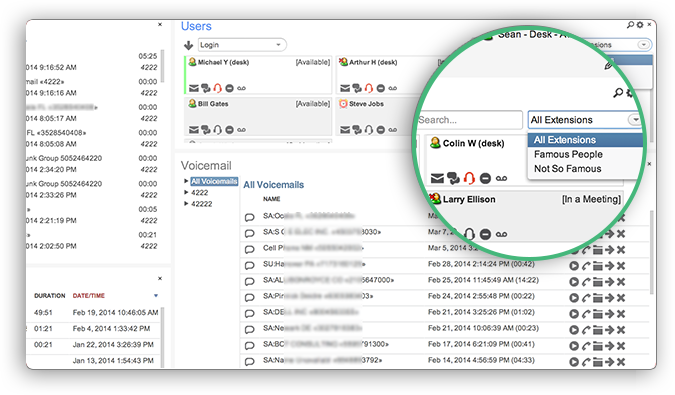 Call history and voicemails are organized by your extension and you can even display them all at once depending on your preference. 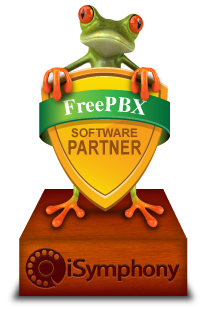 Sync PBX information into the iSymphony configuration to get you started fast! iSymphony works with most Asterisk installations. Download iSymphony now and use the easy to use Documentation. Our extensive documentation walks you through installation, configuration and usage. Start your productivity today!